When it comes to motorcycle performance and cylinder head technology, Rick Ward of Ward Performance is a phenom. 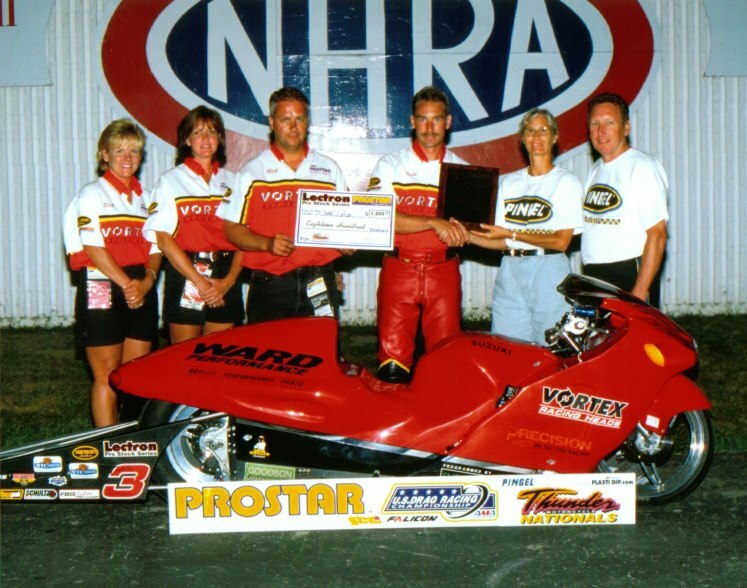 Ward, whose impressive resume includes an NHRA US Nationals victory as a rider and multiple championships as a crew chief and engine builder, is credited with creating one of the most ground-breaking components of the past 20 years, the Vortex cylinder head. 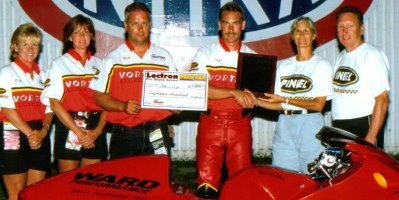 For his excellence in the design and manufacture of the Vortex 2 cylinder head, Ward earned the National Dragster’s 2001 “Mechanical Men of The Year” award. Working at Vance & Hines for six years gave Ward a Harvard-like education in all facets of motorcycle drag racing technology and performance. In 1989 Ward decided it was time to form his own company. Ward Performance quickly became a leader in the industry and remains that way today. 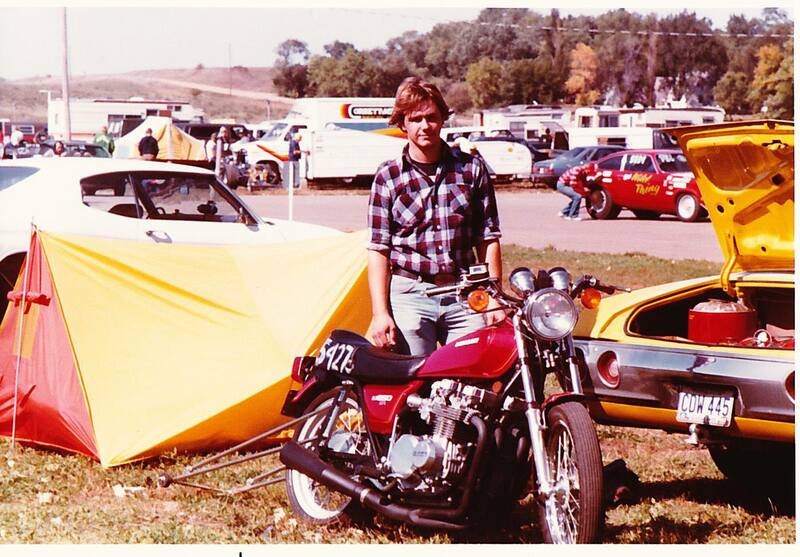 Rick purchased his first CNC in 1993, and quickly established himself as the premier cylinder head machinist in the motorcycle industry. A young and hungry Ward honed his skills on his Kawasaki. Perhaps Ward’s greatest achievement came in 1999 when he invented the state-of-the-art, cutting-edge Vortex Cylinder head. Ward later updated the creation and released the Vortex 2, a marvel of engineering that flows 160 CFM and supports over 300 horsepower. 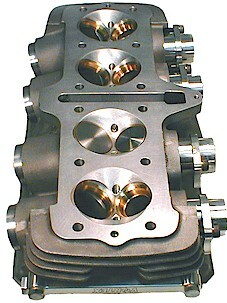 These aftermarket cylinder heads are legal for NHRA, ADRL, ECTA, SCTA, and AMA competition. The superior product can be found on countless of the world’s quickest and most consistent drag bikes. 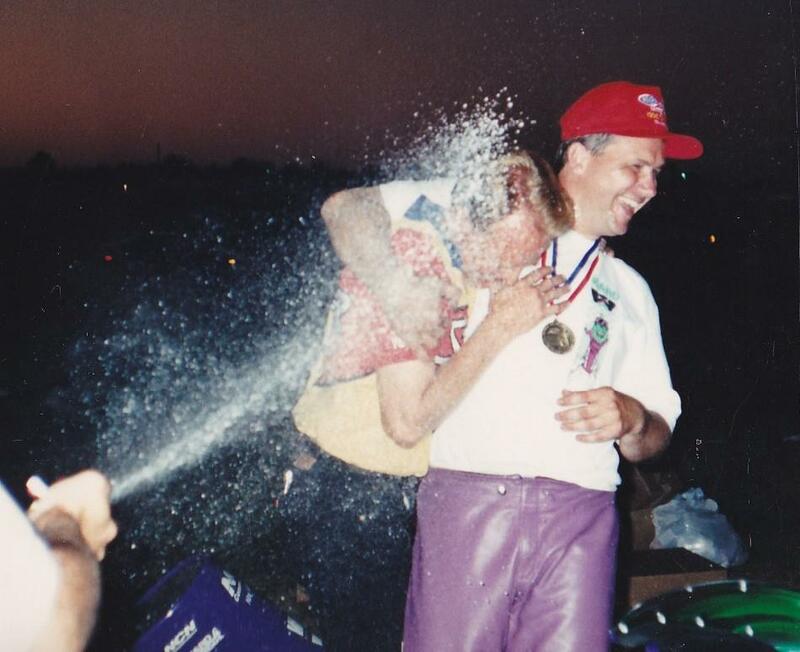 Ward celebrating his U.S. Nationals victory with the late, great John Myers. 3.964 in the 1/8th mile, multi-championships), Bill Vose (ADRL MPH record holder 180.77 in the 1/8th mile), Dave Beck (past European record holder 7.07, multi-championships), Mark Paquette (Funny Bike record holder 4.0’s at 183 in the 1/8th mile), Paul Gast (multi-time champion in Prostar Pro Stock Bike, and past record holder), Bud Yoder/Ronnie Mitchell Racing (Pro Street Champion and record holder), Mike Slowe (multi-time Pro Street Champion and record holder), and Eric McKinney (ADRL Champion), to name a few. With his business still thriving, Ward stays very busy providing upgrades for all forms of Japanese dragbikes and street bikes. 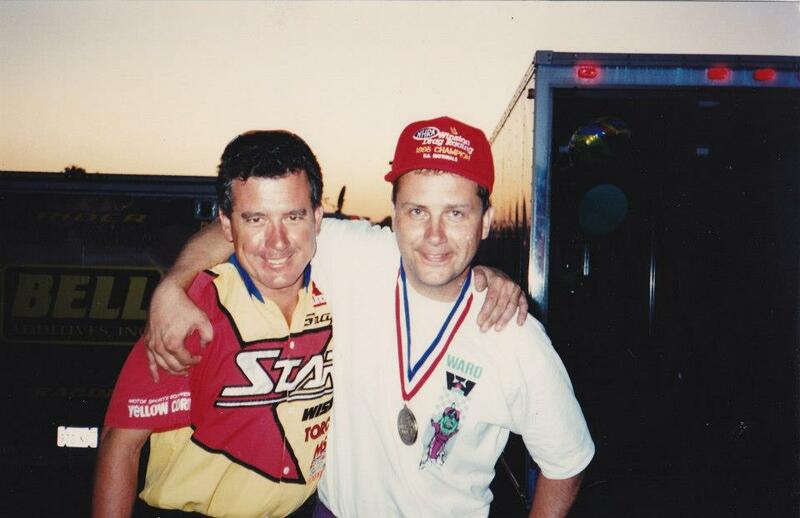 Ward admits all those years of working on Pro Stock Motorcycles, where finding one or two extra horsepower was a major achievement, helped mold him into a perfectionist who scours every detail. 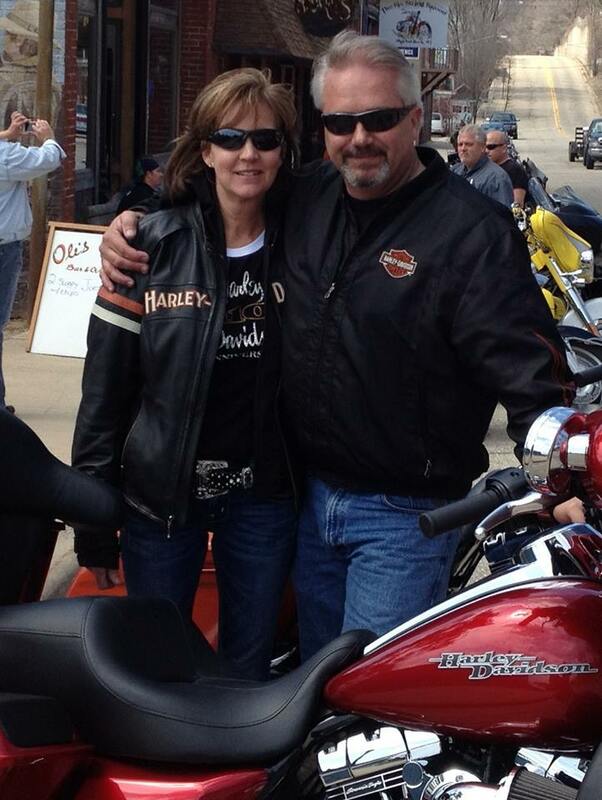 Ward and his new found passion - Harley-Davidson street cruising. To find out how Ward Performance can take your drag bike or street bike, Harley or metric, to the next level, visit the Ward Performance website and give Rick a call.